LONDON – The women’s steeplechase at the 2017 IAAF World Championship got underway tonight and there was a little bit of drama. The drama came in the first heat. The heat was extremely tactical (9:39 winning time) and with only the top three finishers qualifying automatically on time (and next 6 fastest times out of the 3 heats) only the top three would move on. 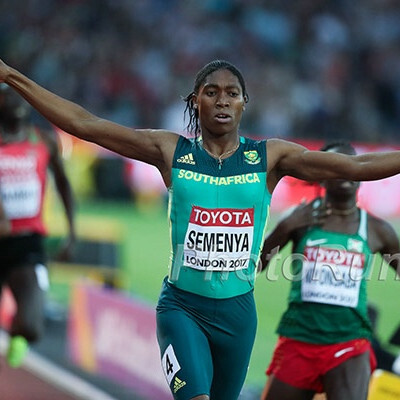 In the sprint for home, the initial three auto qualifiers were 2015 medallist Gesa Krause of Germany, Olympic finalist Colleen Quigley of the US and Olympic silver medallist Hyvin Kiyeng of Kenya. Finishing outside the top 3 was Ethiopia’s Sofia Assefa. Assefa, the 2012 Olympic silver medallist who was the 5th fastest woman in the world this year at 9:07.06, was just sixth across the line. However, shortly after the race was over and before heat #2 even started, Quigley was disqualified for stepping on the line after the fifth water jump. Yesterday in the men’s steeplechase final, after a French protest, the officials determined that Evan Jager had also stepped on the same line but he was not DQ’d as they said he stepped on a straight portion of the line and had not gained a material advantage. 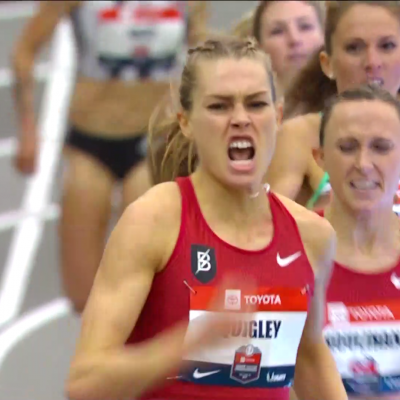 In this case, the officials claimed Quigley stepped on a curved portion of the line (which results in a DQ unless you are pushed or forced inside) and gained a material advantage and thus she’ll miss out of the final. Looking at replays, it appears Quigley actually stepped on the line twice, once when it was straight (which is ok as long as no ‘material advantage’ is gained) and then once when it was curved. After video review, Quigley did step on the line on the curve & gained advantage. Video referee upheld ruling on the field. DQ stands. ? portion of a race run in lanes. infringed this Rule, he shall be disqualified. 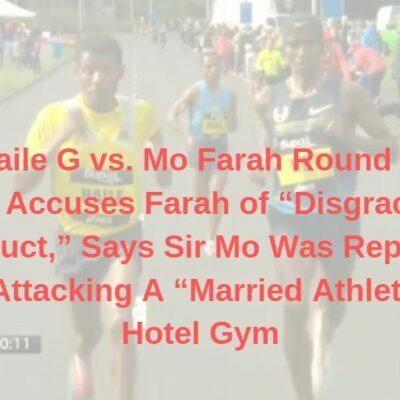 athlete being jostled or obstructed so as to impede his progress. 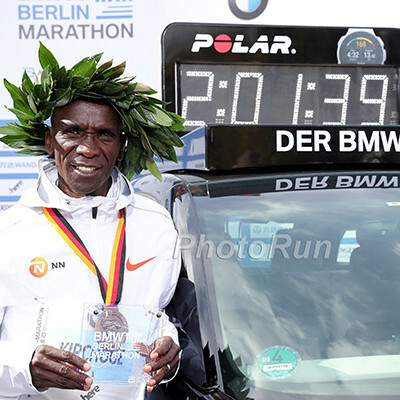 The beneficiary of Quigley’s DQ was Kenya’s Purity Kirui, the 11th fastest entrant and 2010 world junior champ, who moved up from a non-qualifying fourth to third. The other heats went pretty much according to form. Ten women came into worlds having run under 9:20 this year and all of them except for Assefa will be in Friday’s final. In heat 2, Paris winner Beatrice Chepkoech won in 9:19.03 and was followed closely by world record holder Ruth Jebet as America’s Courtney Frerichs, who also made the Olympic final last year, took the third auto qualifier in 9:25.14. In the third heat, world leader Celliphine Chespol of Kenya got the win as she and American Emma Coburn, the bronze medallist in Rio last year, and Australia’s Genevieve LaCaze all ran 9:27 to auto qualify. 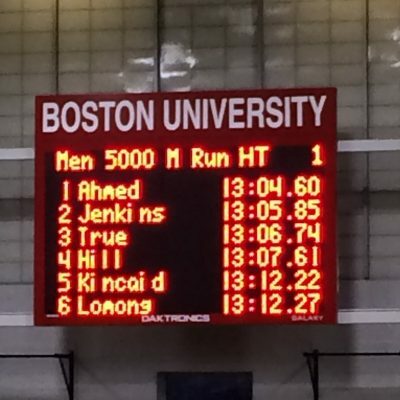 Ezekiel Kemboi‘s DQ last year was absurd. Same thing here. Quigley stepping on the line didn’t impact the race. The IAAF rulebook doesn’t allow for common sense, however. It says if you touch the line on a curve, you are out unless you were forced inside (like Mo Farah). Given how political shenanigans have impacted international sport over the years, we understand why the IAAF wants to leave ambiguity in its rules but DQs like these in the steeple are unsporting. The contact rule is similar – should someone really be DQ’d for impeding someone at the start of a 10k? If the IAAF doesn’t want people stepping on the line, they need to build a rail as it’s natural for the people on the outside to cut in. Think about how an inside water jump is set up. It’s straight and then turns sharply to the left so people in front on the outside naturally will come in and cut off people on the inside. People on the inside like Quigley or Kemboi only step on the line when they are cut off by other making a hard left. So it seems reasonable that Quigley could claim she was a) forced inside by the way laws of geomerty and the way the race is run, which is what Stephanie Bruce is arguing in her tweet above and b) she didn’t gain a material advantage (although to be honest, we don’t know though why the USATF tweet references material advantage as that has nothing to do with an infraction on a turn).We think it’s fair to argue 1/8th of an inch in the middle of a nearly 2-mile prelim isn’t a material advantage. Quigley did stop in the mixed zone, but only briefly. 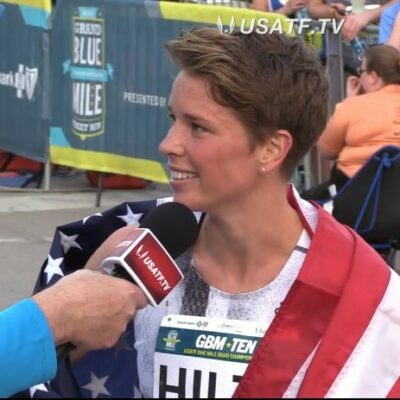 David Monti of Race Results Weekly felt it was appropriate to inform Quigley of her DQ before conducting an interview (we agree) and once she found out from Monti, a shocked Quigley exited the mixed zone in an attempt to remedy the situation. One of the benefits of being in the third heat — particularly in a race where there are three auto qualifiers per heat and six time qualifiers — is that you know what time you have to hit to make the final. Tonight, however, Coburn was running blind as the call room officials would not allow her to watch the other heats, claiming it was an unfair advantage. While they achieved their aim with regard to Coburn, that’s moronic behavior on the officials’ part as a coach in the stands could easily yell out what times the athletes needed to run even if they didn’t see it themselves. Fortunately for Coburn, she had no problems advancing through to Friday’s final. And even though she medaled last year in Rio, she knows that the event is a lot stronger in 2017. 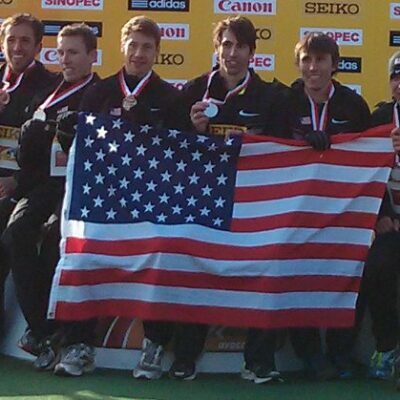 “The steeplechase really changed the last 18 months and I don’t feel like I have a guaranteed spot anywhere on that podium just because of that bronze medal,” Coburn said. With so many women close to 9:00 this year, Coburn is expecting a fast final — she pointed out Beatrice Chepkoech in particular, who just ran 8:28 in Monaco for a flat 3,000 — as someone in excellent shape right now. Coburn’s PR is 9:07 from this year’s Olympic final, which means it will take the race of her life to earn another medal. 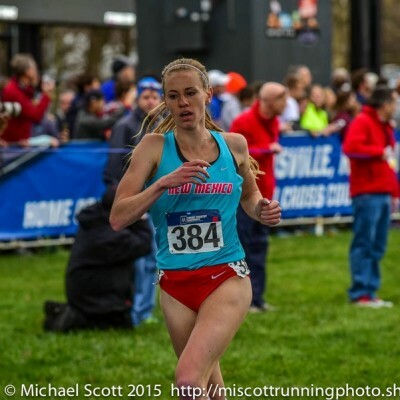 But considering she already ran 9:07 at Pre back in May, Coburn could be ready to run the race of her life on Friday. Frerichs didn’t want to spend extra energy tonight if she didn’t have to, so she let Ruth Jebet and Beatrice Chepkoech go in her heat, focusing on securing the third automatic spot instead. That’s exactly what she did, and though she’s not a medal threat in the final, she’s in a good spot to meet her personal goals (top 10, PR). Frerichs was 11th in last year’s Olympics, but she’s a much different runner than she was in Rio. For starters, Frerichs had just finished up college and was just happy to be in the final. This year, as a professional, she is intent upon improving her place from a year ago. In addition, Frerichs is training at a higher level in her first year under Jerry Schumacher and Pascal Dobert. Compared to many of her new Bowerman Track Club teammates, Frerichs was undertrained in college, which led to a rough transition last fall. But after adjusting to the intensity of Schumacher’s workouts, Frerichs has seen a lot of success and after running a PR of 9:19 at Pre, she thinks she can go even faster — perhaps as low as 9:10 — in what should be a quick final in London. Breaking: Say it ain’t so. Colleen Quigley DQd in women’s steeple. Praught said she knows 6th sounds like a weird goal, but she has to be realistic. She’s right. Praught probably isn’t beating Coburn, Chepkoech, Jebet, Kiyeng or Chespol, but she could definitely beat everyone else in the final.